KidScape Productions is created to allow students to succeed at all levels, our curriculum allows students to take risks by providing opportunities to learn rather than to win or lose. There is no better way to enhance a student’s self-confidence than to allow them to do something they love and give them the tools to help them do it well. 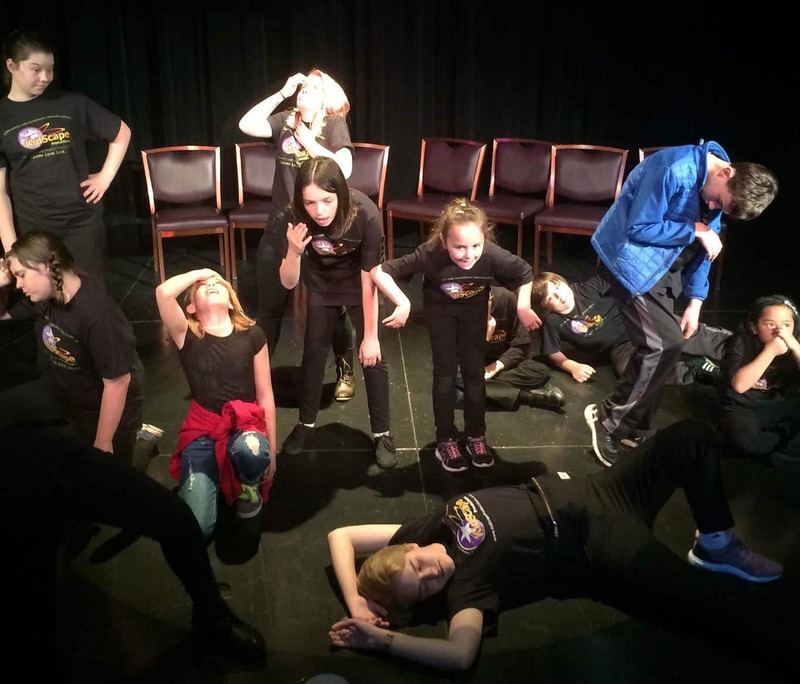 KidScape Productions differs from traditional theatre classes/programs because our focus is on THE EXPERIENCE OF THE PARTICIPANT rather then the preparation for a performance. Adventures into the world of acting give participants the opportunity to take control of their actions and develop necessary skills in a safe and stimulating environment. The positive effects of KidScape does not end with the students who attend our events, our continued focus on the community at large provides many opportunities for anyone who wants to be involved in our program! Local community organizations, schools, fund raisers and city programs are welcome to utilize our database and adjust our outline to meet their specific needs. Ongoing participation in KidScape’s workshops/events help build confident, articulate people while creating a sense of belonging in the community. Above all, KidScape Productions workshops are fast paced and fun! Adults love it because it instills necessary skills to succeed in today’s world; participants love it because it’s JUST PLAIN FUN! Remember, we specialize in customizing programs to fit the needs of your school or organization. For more information call (775) 787-3900. People learn best through “play” and need a safe place to be able to experience actions and consequences. A confident articulate person has the ability to exceed in all areas of life. Engaging, hands-on activities help with Social Discipline and instill team work skills. The mission of kSp’s BEST is to provide a safe and supervised environment for participants to learn life skills which will help them not only with their future educational experience, but will give them the necessary strengths to succeed throughout their entire lives. 1. Nothing we do is as important as the effect it has on the participant. 2. Engaging activities develop values, skills and relationships. Activities are not seen as ends in themselves, but as vehicles for creating values, building skills and solidifying peer and adult relationships. An engaging activity is one that holds participants’ attention, awakens their imagination, gives them a voice and inspires them to want to learn more. 3. Everyone has the right to be accepted, respected and valued by others. No matter the age, participants are viewed as individuals to be developed, not problems to be solved. 4. All ages should be involved in decision-making and program design. If participants get to choose how, when, in what and with whom to be engaged, they are far more likely to enjoy themselves and behave cooperatively. 5. When we listen for understanding, everyone learns – regardless of age. We are constantly able to learn from our children as well as our elders. Everyone is a learner.